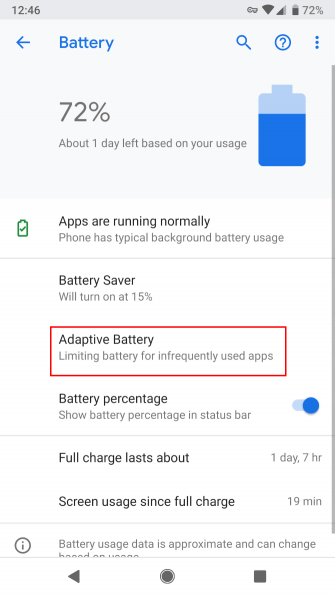 If you used the Doze feature in Android 6 which hibernates all apps not being at that moment, the adaptive battery feature is an improvement of that and it is enabled by default. You can toggle it from Settings > Battery > Adaptive Battery. 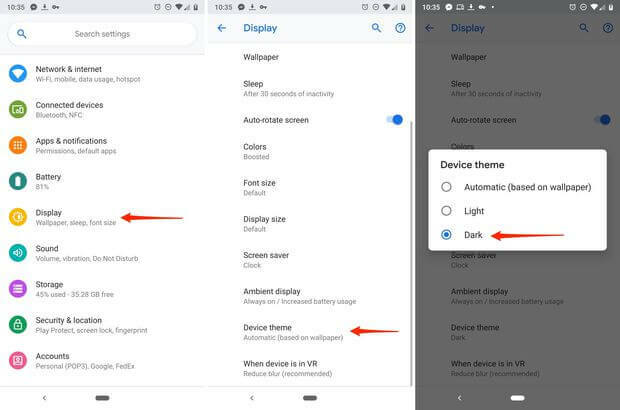 You can manually choose to go dark on your Android device by heading to Settings > System > Display > Advanced > Device theme and choosing “Dark“. 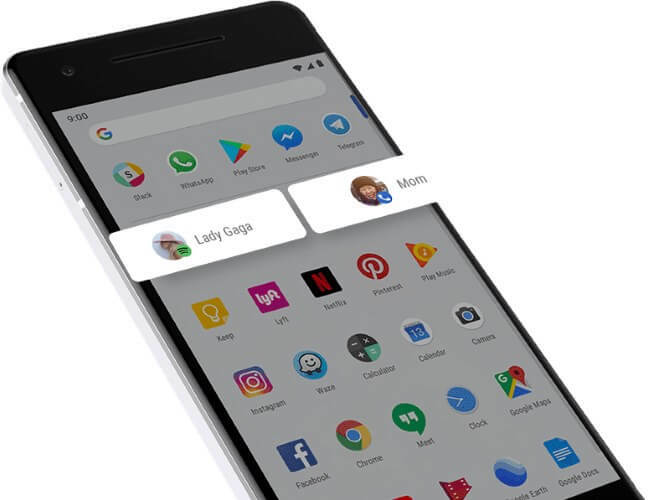 This is similar to the app shortcuts that you can summon by long pressing on icons but quite different given the fact that it is Google launcher giving you suggestions of things to do with your phone. For example, your phone will suggest your most recent playlist when you connect earphones to it. Or suggest that you call your mom to check on her during the week. 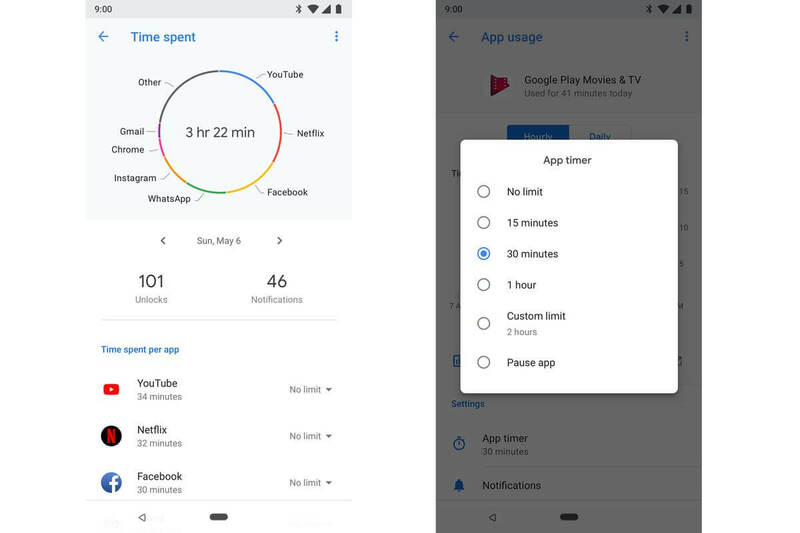 Set a time limit on applications and after you have used them for the specified period Android will automatically grey out the app’s icon – hinting that you should spend your time doing something other than using the app. 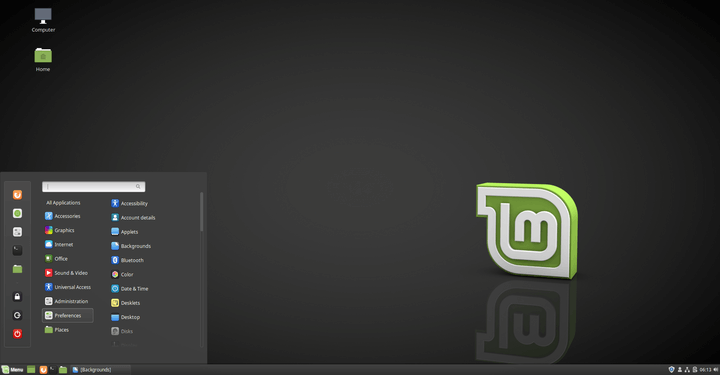 The usage duration that you set is up to you. 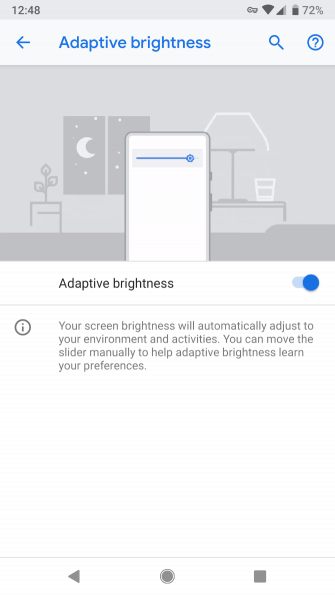 Android’s automatic brightness is now smarter as you can now train it to know your preferred brightness level when using certain apps and in different environments. 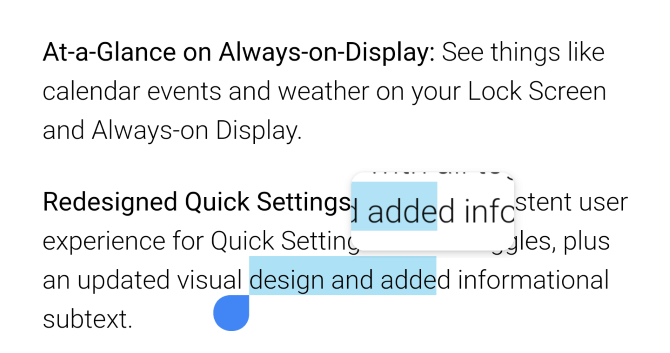 This setting is accessible from the Quick Settings drop-down menu. 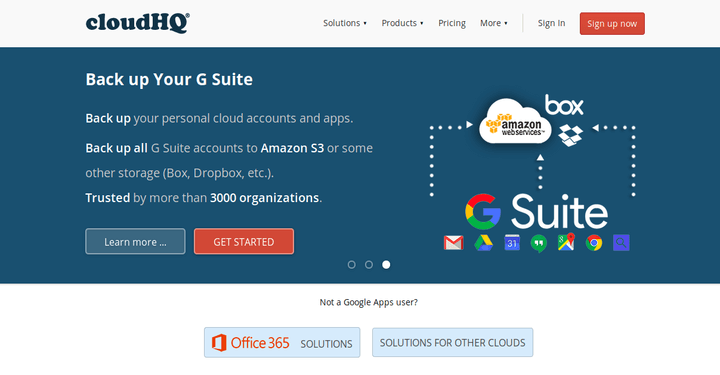 The Slices feature enables you to see informative data when you search for apps using the Google Search app. What’s good about this feature is you can skip right to performing the listed actions displayed in the informative dialogue. 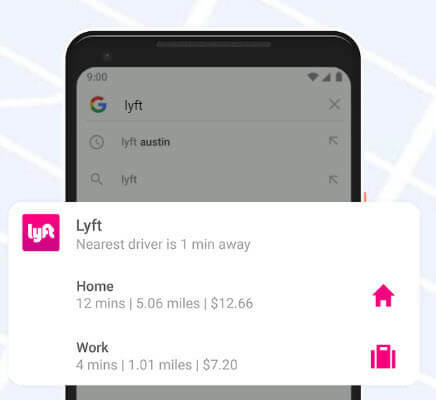 For example, search for lyft in the Google search app and you will have the option to call for a ride to take you to your office, house, etc. with the prices displayed respectively as well. 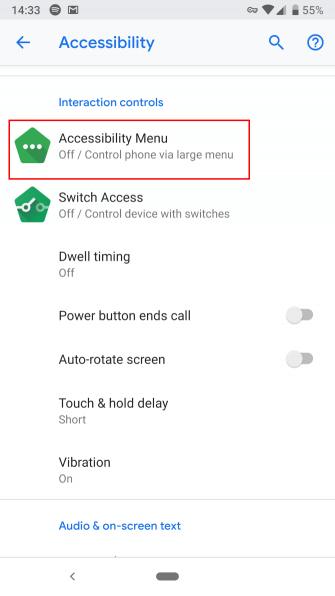 From your Settings > Accessibility > Accessibility Menu >, Use service, you can activate the new accessibility menu which enables an icon you can tap for actions like quick settings, recent apps, and volume. Selecting to interact with text has been made easier thanks to the improved, more responsive handlebars in selection mode. Say goodbye to the default Power+Volume Down button combo and take screenshots whenever you want to by tapping the icon in the Power menu. The Home button now has a cooler icon shaped in the form of a pill aligned horizontally. If you ask me, this is the coelest Home button Android has ever had. 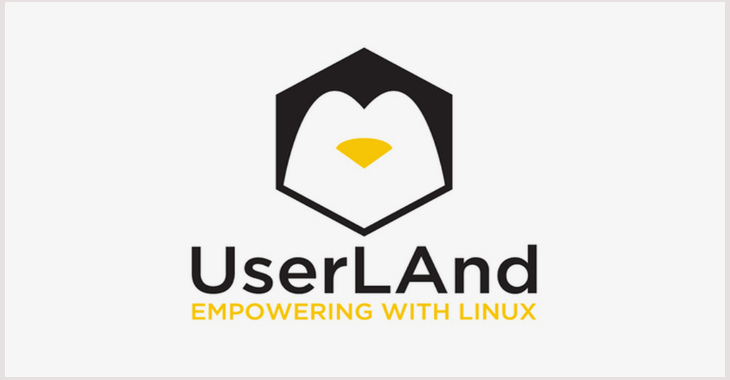 Say goodbye to the typical back, home, and recent button icons and say hello to a single bar that supports gesture navigation and trust me, it is just as easy to use. Go Home by tapping the new pill-shaped Home button. Open your app drawer by Swiping up on the Home button twice. To view Recent apps, Swipe up on the Home button. To open an app, Swipe right and hold the Home button to scroll between apps and release to open the one in the middle. 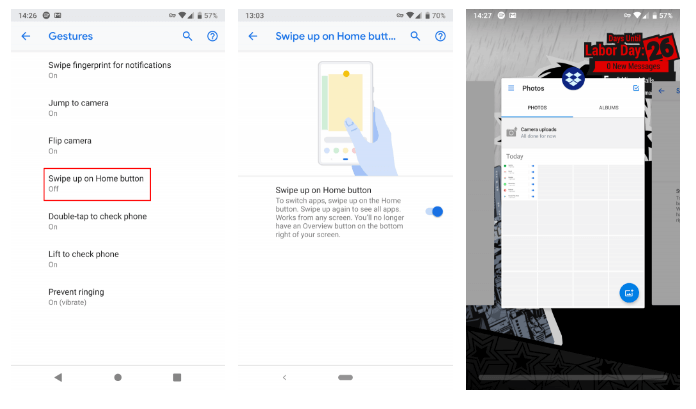 Open Google Assistant by Pressing and Holding the Home button. If you can go Back to a previous screen in any app the Back button will appear. Before now, you were restricted to working with switching auto-rotate on and off. Now, Android has the option to rotate the screen to landscape mode and back to portrait at the tap of an icon. From Settings > Apps & notifications > Notifications you can see the most recent apps to send you notifications and the apps that send you distracting notifications the most. 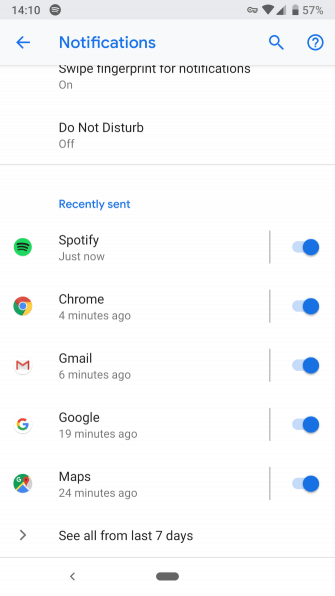 Android Pie comes with support for RTT (Round-Trip-Time) (i.e. 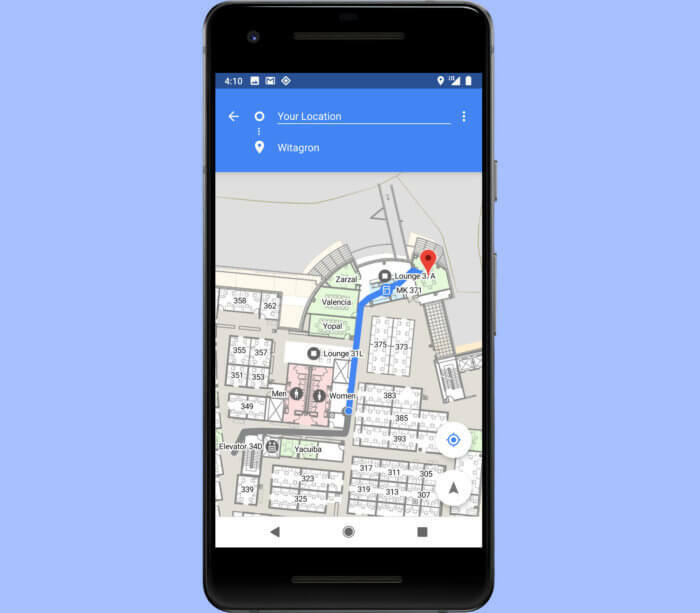 the IEEE 802.11mc WiFi protocol) which enables users to navigate even buildings like malls and cinemas with turn-by-turn directions using indoor GPS-style tracking. Do Not Disturb now prevents visual interruptions like background notifications and frequent pop-ups and you can take advantage of the Shush mode which silences your phone’s notifications completely. All you need to do is place your phone on any surface face down and DND will be automatically enabled. 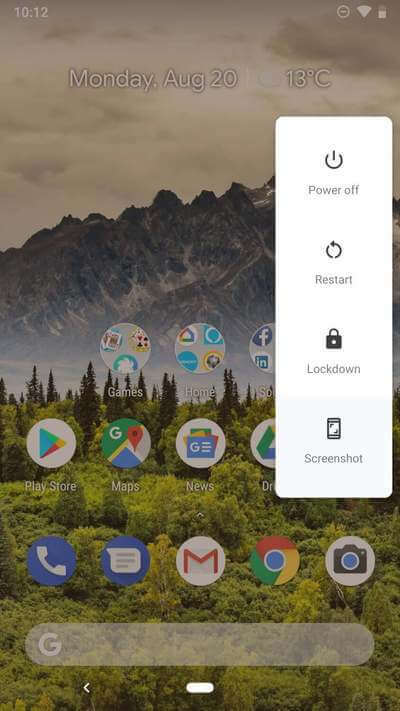 A new option that you can toggle from the Power menu, Lockdown Mode disables the fingerprint unlock on your device and you will need to enter a pin to unlock your device. Maybe you will use this if an unruly party is trying to force you to unlock your device – you decide. You can now view images in the message app and make use of smart reply to respond to messages using the notification shade. Also, Android suggests quick responses that you can use by analysing incoming messages. 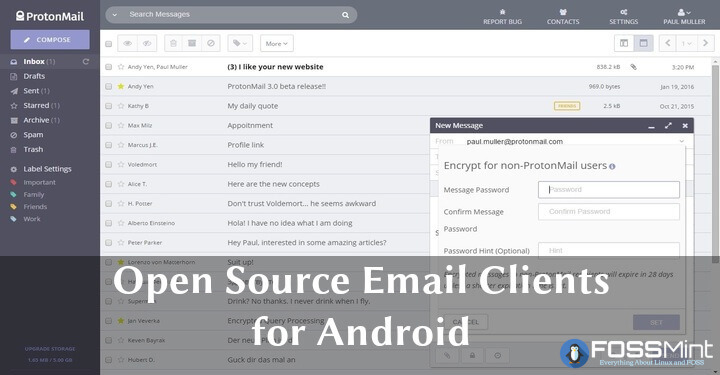 This one is a nod to the security-informed Android users. 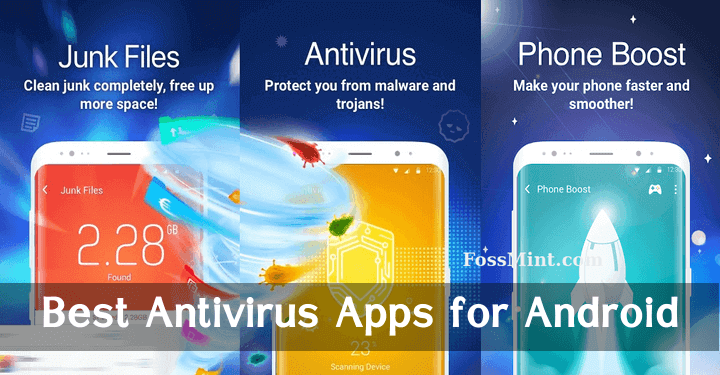 You will be happy to know that all apps on Android Pie use HTTPS by default. Android cares about your privacy. 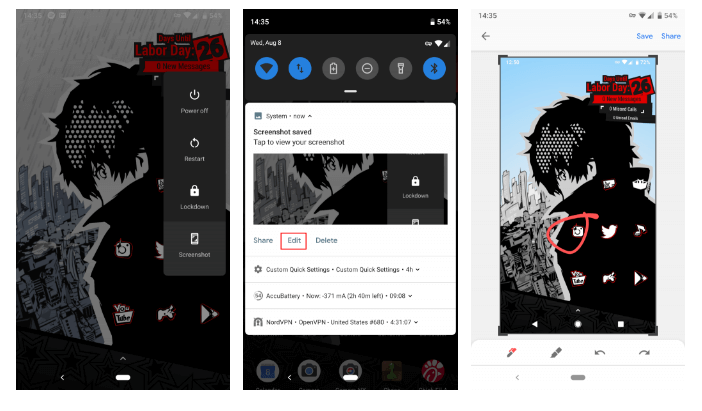 Since the volume controls are dedicated to Ringer volume, Android’s media setting now has its volume control in a vertically aligned slider on the right side of the screen and this same media panel displays different volume controls settings for all the devices connected to your Android phone. 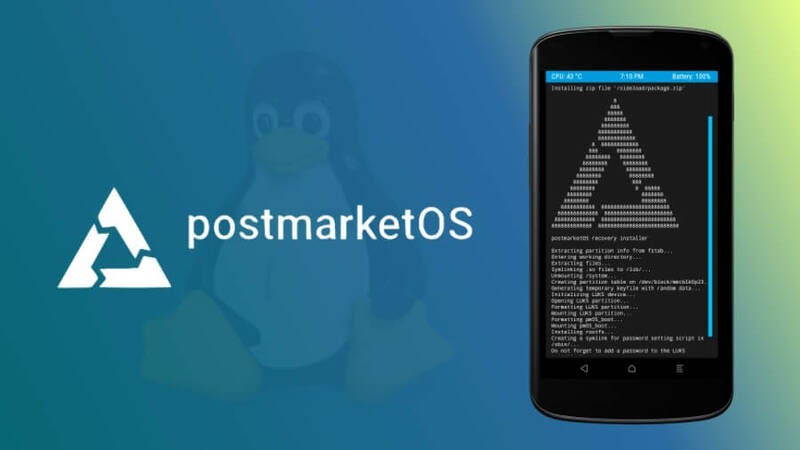 Without the need to be told, Android Pie comes with significant changes to its Android Runtime that enhance its efficiency and performance, which in turn, provide you with a pleasant user experience. 157 is a large number and it includes a Llama, cold face, hot face, mango fruit, skateboard, etc. Also, Google adheres to its Unicode Standard more strictly and gender-neutral characters have been removed. 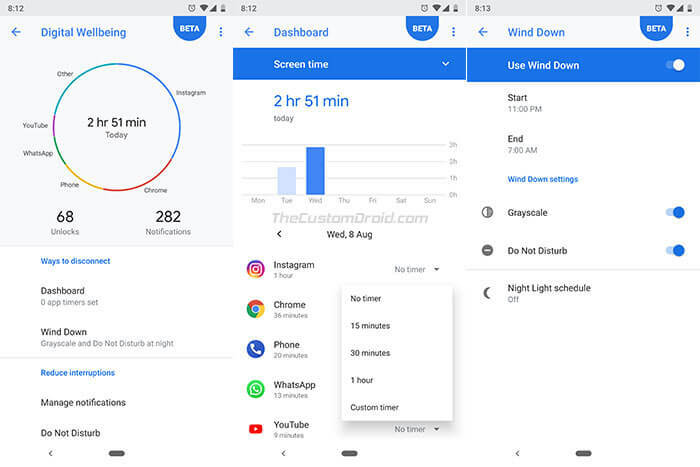 Wind Down is the new feature that works with your chosen bedtime to automatically switch on Night Light and DND mode so that you can fall asleep easier. 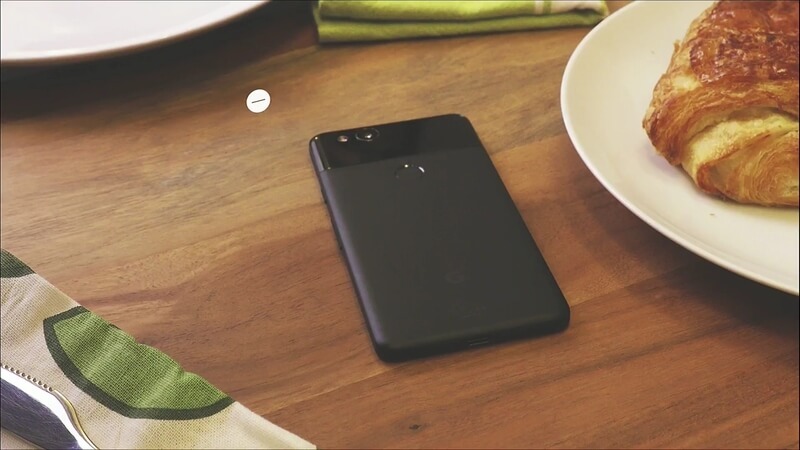 With Android Pie, developers can simultaneously access streams from 2 physical cameras using the multi-camera API. As long as your phone uses at least dual rear cameras or dual front cameras, you’re good to go. 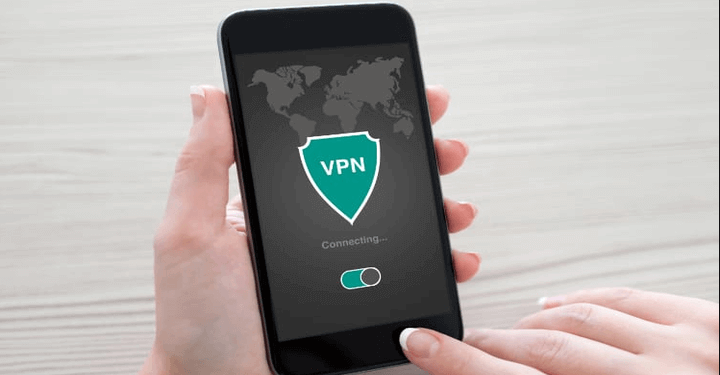 The Wi-Fi MAC Randomization features works by randomly assigning a new MAC address to your device each time it connects to a new Wi-Fi network. This is one of the many improvements that come to Android’s privacy and security capabilities in version 9. Are you impressed with this latest update? What are the significant changes and/improvements that you care about in Android 9 Pie? The comments section is down below.